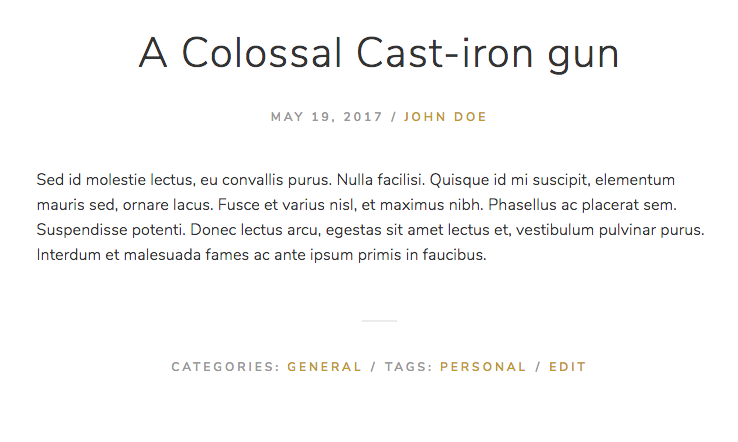 Entry footer, containing categories, tags, and an edit link. 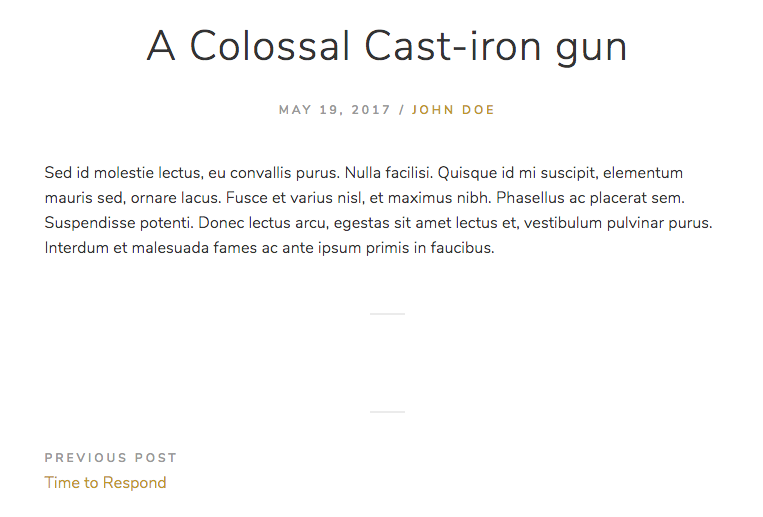 If styles, like padding and borders, are applied to entry-footer div, with the expectation that stuff will be inside of it, things could look weird. To you, this looks like an empty footer. To a website visitor, this is inexplicable empty space. Even if not, to keep HTML code as clean as possible, it should only be output on the page when absolutely necessary. Step 1: Do you have a “categorized blog” conditional function? If you built your theme off of Underscores, you already do. // This blog has more than 1 category so themeslug_categorized_blog should return true. // This blog has only 1 category so themeslug_categorized_blog should return false. * Flush out the transients used in themeslug_categorized_blog. Be sure to replace themeslug with your own theme slug. These will make it easy for your blog to not display categories when there’s only one (by default, “Uncategorized”) available, and efficiently display them when there’s more than that. It wouldn’t be a good experience if a blog only had one category, yet still had “Category: Uncategorized” underneath every blog post. In that case, the blog would not be categorized, therefore making “Category: Uncategorized” pointless to display. Anyway, we’ll use this conditional function along with a couple others in Step 2. Again, be sure to replace themeslug with your own theme slug. get_the_tag_list() – Are there any tags? Unlike categories, no tags are required. get_edit_post_link() – Is the user logged in, and if so, do they have permission to edit this post? If any of the above conditions are true, the entry-footer markup will display. If not, an empty div will not be output, you don’t have to worry about styles applying to that empty div, and your code will be slightly cleaner. Feel free to base your own themeslug_entry_footer() function on what you find in Underscores.